This full sleeves blazer from Beebay is perfect for party wear. Trendy solid colour with flap pockets makes it stylish and attractive. Button closure provides fuss free dressing. This blazer will help to keep your kid warm during winters and stylish at the same time. 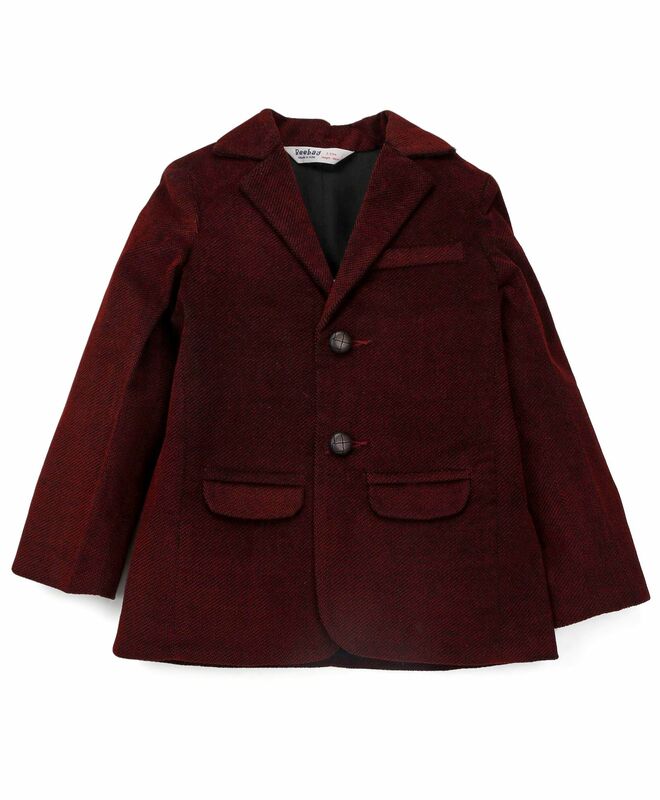 Styling Tip: Match this Blazer with jeans, sneakers for a cute look.